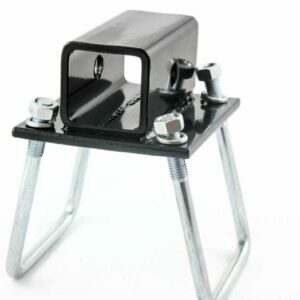 Great for secureing Ball Mounts, Bike Racks, Motorcycle Carriers, Wheelchair Racks, and MUCH MORE!!! Pin has 105° bend at the handle for easy operation. 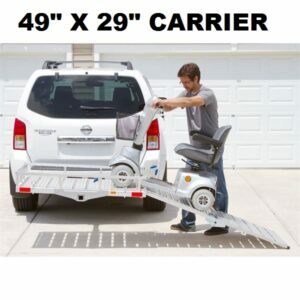 This 500lb capacity wheelchair carrier is designed to allow easy loading and transporting of your wheelchair, scooter, mobility carrier, or other item. 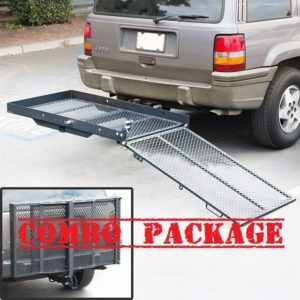 Comes with free hitch pin and free anti wobble device. Comes with a Life Time Warranty. XXL 500-Lb. Capacity Aluminum Hitch Cargo Carrier with Ramp lets you easily transport scooters, wheelchairs, push mowers, tools and equipment, and more. 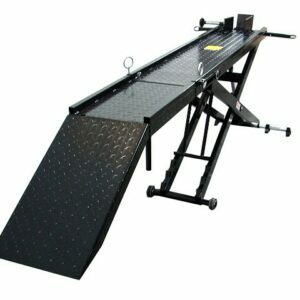 3-position loading ramp can easily be folded for tailgate or trunk access. This hitch mounted carrier PLUS combo package is the perfect solution to transport your scooter mobility wheelchair. The carrier has a 400 lb weight capacity. XL 500-Lb. Capacity Aluminum Hitch Cargo Carrier with Ramp lets you easily transport scooters, wheelchairs, push mowers, tools and equipment, and more. 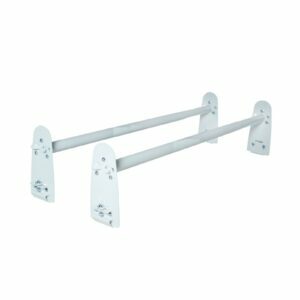 Swing Away Hitch-Mounted Cargo Carrier 50" x 20"